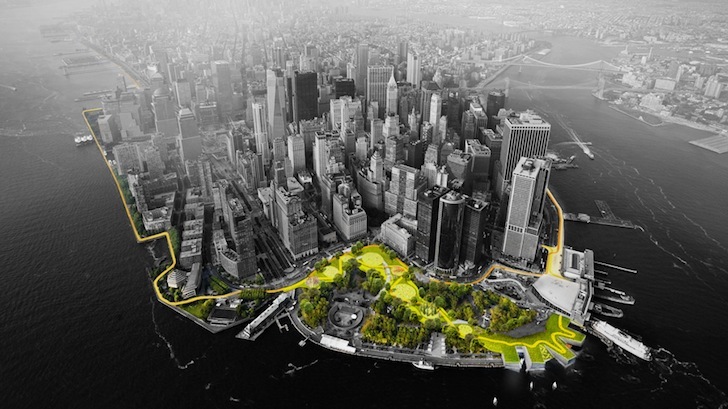 Rebuild by Design, a competition to find resilient solutions for restoring communities affected by Hurricane Sandy, recently unveiled its ten shortlisted designs. The selected proposals include ideas ranging from a 10-mile strip of greenery that wraps around lower Manhattan to barrier islands to protect the Jersey shoreline. Click here to see them all.